A window on emerging art worldwide and an essential cultural event for lovers of contemporary art. This is Artissima, the International Contemporary Art exhibition in Turin, Italy, that from the 5th to the 7th November 2010 presents a list of exclusive galleries at the height of fame in terms of quality of the works exhibited and the artists they represent. In this context, Artissima and Valcucine and Artissima become partners to promote, together, an alliance between art and quality design. 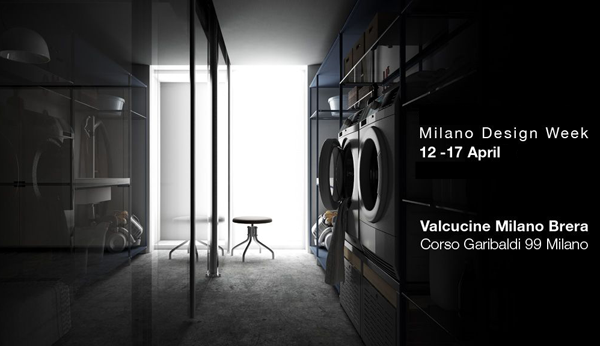 For the 17th edition of Artissima, Valcucine makes its business culture available and exhibits its kitchens in the Vip Lounge. The star of the show is the Artematica Vitrum Arte kitchen, a line that features the possibility of reproducing drawings and pictures on the doors using the inlay technique and leaving room to creativity that is expressed by customising the glass fronts: decors that are patiently handmade so that each kitchen arrangement becomes inimitable and unique. The cupboard units have been specifically produced for this occasion and are decorated by a drawing created by Alessandro Mendini. An island consisting in 100% recyclable Invitrum base units in the elegant white version is shown alongside it: recycled aluminium parts, a single structural side panel in 10mm thick glass and mechanical joints that do not use glue make up this kitchen that can be completely dismantled at the end of its life cycle. On the 4th November 2010 there will be the press preview, the collectors’ preview (by invitation) and vernissage (by invitation). The exhibition wil be open to the public on November 5th-6th-7th 2010 from 12 to 8 pm. Home Gardening is becoming an increasingly common activity in our everyday urban culture. We live in small apartments above busy, polluted cities, yet we make a point of dedicating precious time to surrounding ourselves with greenery, creating miniature gardens on our windows sills and balconies and verandas. We make space for storing soil and seeds in the kitchen cupboard, cooking utensils mutate and adapt to new agricultural tasks. Some of us grow trees for their seasonal fruits, maybe for their sweet fragrance or maybe just for their beauty; the fact is, we all have little secrets on how to care for and grow our little home gardens. “Made to Cultivate” is a project by Simone Simonelli e Stefano Citi in collaboration with Valcucine for Lunedi Sostenibili. The aim is to open a window onto the world of DIY home gardening, creating a visual anthology of domestic gardening know how, a resource available to all, an open source collection of tools, mechanisms, instructions and gardening techniques, to which everyone will have access. 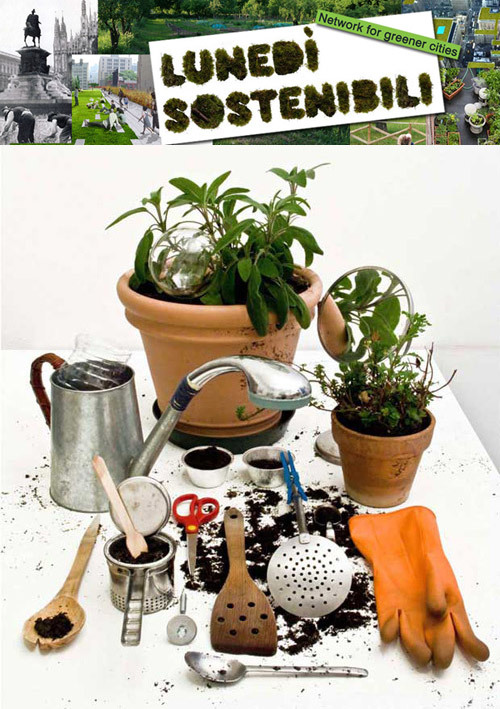 On the 29th November in Milan Lunedì Sostenibili with “Made to Cultivate” is going to open an exhibition on photos, home videos, drawings and even the actual objects about home gardening. The intention is to discover the most reliable utensils, something innovative and unusual which meets a specific need, which might also be something you inherited from your grandparents, or maybe it’s just that old spoon your mothers uses for her geraniums. “Made to Cultivate” wants to show the wide range of everyday objects and hidden techniques used in home gardens that are in danger of never being revealed to the rest of the world. These will be shown on the 29th November at 7pm c/o Eco Bookshop Valcucine, Corso Garibaldi 99, Milano. The 12th International Architecture Exhibition, with the title of “People meet in architecture”, directed by Kazuyo Sejima and organized by la Biennale di Venezia under the presidency of Paolo Baratta will be open to the public from Sunday 29th August to Sunday 21st November 2010 in the Giardini, Arsenale and in various locations throughout Venice. The preview will take place on August, 26th, 27th, 28th 2010. The exhibition People meet in architecture will be laid out in the Palazzo delle Esposizioni della Biennale (Giardini) and in the Arsenale, forming a single itinerary, with 48 participants: firms, architects, engineers and artists from around the world. “The 2010 Architecture Biennale should be a reflection on architecture – says Director Kazuyo Sejima. The twenty-first century has just started. Many radical changes are taking place. In such a rapid-changing context, can architecture clarify new values and a new lifestyle for the present? Hopefully, this show will be a chance to experience the manifold possibilities of architecture, as well as to account for its plurality of approaches, each one of them being a different way of living”. Domus with the support of Valcucine will be at the 12th International Architecture Biennale with two events in the Kitchen Monument, a transparent bubble designed by the Berlin architecture studio Raumlabor, which will be a venue for debates, videos and round-table conferences. A round-table discussion with photographers at the Biennale on the theme of the mutual influence between architecture and photography today. The winners of the Gold and Silver Lion awards describe their works to the public.